Save 15% when you purchase this package! 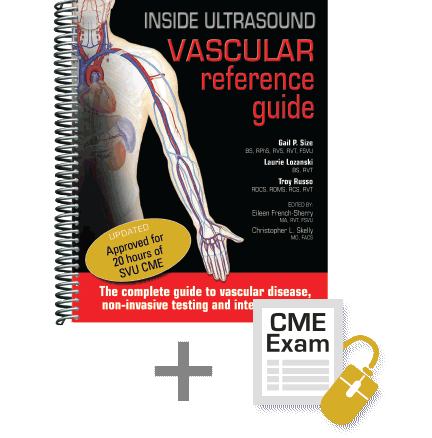 The Inside Ultrasound Vascular Workbook, is a companion to Inside Ultrasound Vascular Reference Guide. It is a must have for all cardiovascular students, educators, technologists, sonographers, physicians and anyone wanting to further their understanding of vascular disease and non-invasive vascular testing. 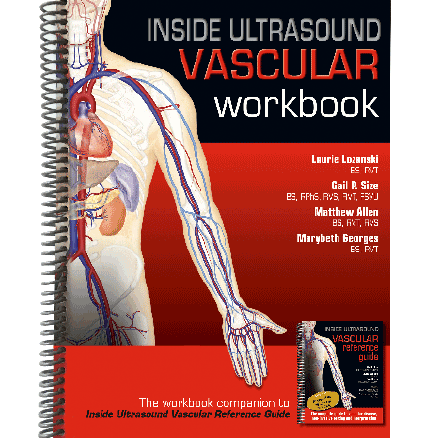 The Inside Ultrasound Vascular Workbook utilizes modern learning techniques to provide a fun, challenging, interactive experience for those who wish to further their education in the vascular field. 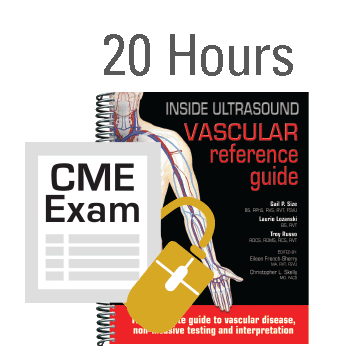 This CME exam is based on the information contained in Inside Ultrasound’s Vascular Reference Guide. The exam contains 100 multiple choice questions. The passing grade is 70%. Each candidate will be allowed 3 attempts to successfully complete the exam. The exam does not need to be completed in one session, you may enter and exit the exam as many times as you want. After you purchase the exam the system will display a page where you will download a document with information about the exam, then within 24 hours of your purchase you will receive an email with a ULR link for taking the exam, your logon and password. Upon passing the exam, a certificate for 20 hours of CME, awared by SVU, can be immediatly printed from your computer.